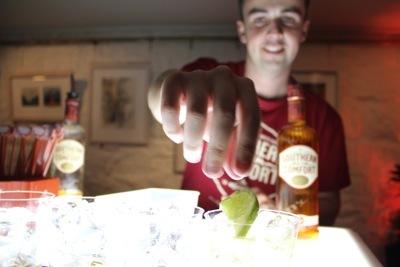 Through our partners, Astute Staffing are proud to be embarking on a 3 week promotional campaign for Southern Comfort. The mechanics of the activity focuses around a promotional team and an elaborate mobile illuminated bar which will add theatre to the live element. Premium promotional staff will be encouraging consumers to tap into their personalities by handing out a scratch card which reveals a choice of mixer to enjoy Southern Comforts with. Once a choice has been made the consumers drink will be expertly made by the Event Manager, staff will then re-engage with the consumer highlighting key messages around a price promotion and a free limited edition gift. Visits will take place across 36 venues over a 3 week period.